In case you’ve been living under a rock — why not? There are lovely rocks out there — then you already know that Instagram is the app where all the cool kids are nowadays. With Twitter losing its edge and Facebook’s users getting older, Instagram is now dominating the social media game. 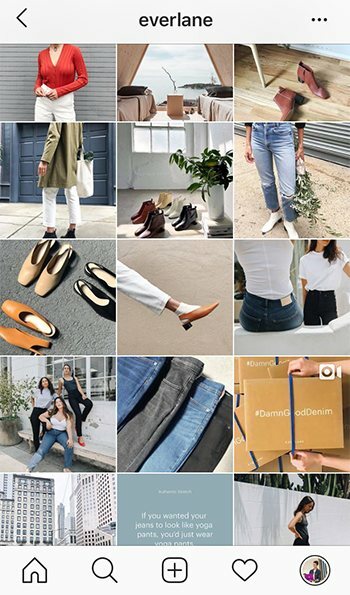 But Instagram is not only a place to catch the latest trends and flirt (yes, flirt), it has also become a place with the potential for brands to meet new customers. Due to it being image based, it is particularly lucrative for fashion labels and T-shirt brands. 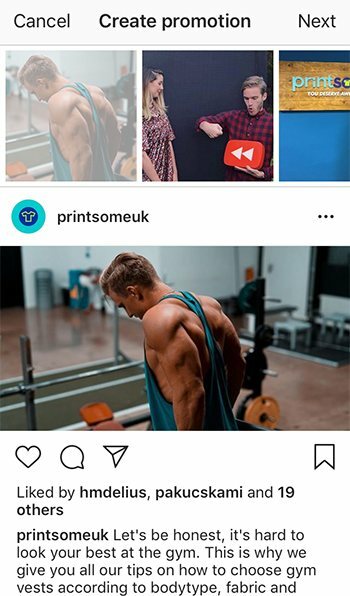 Why should I sell T-shirts on Instagram? 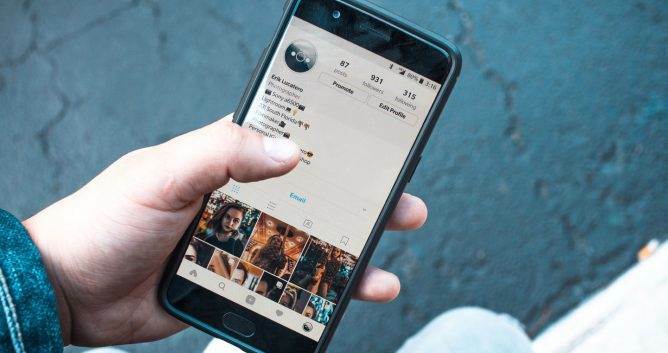 Instagram reached 800 million monthly active users (500 million daily) in 2018. This makes it the second largest social media in the world behind Facebook. But if it keeps growing at this rate, it will overtake the latter by 2020. Something that Facebook won’t mind too much since it bought Instagram back in 2012. 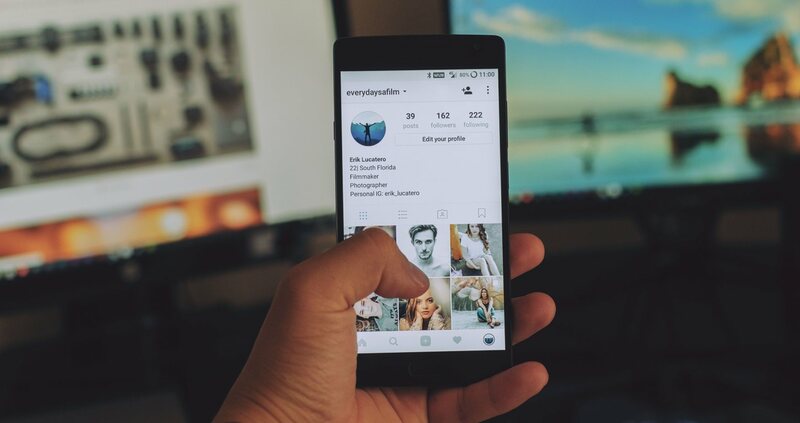 Instagram users are the most engaged of any other platform. 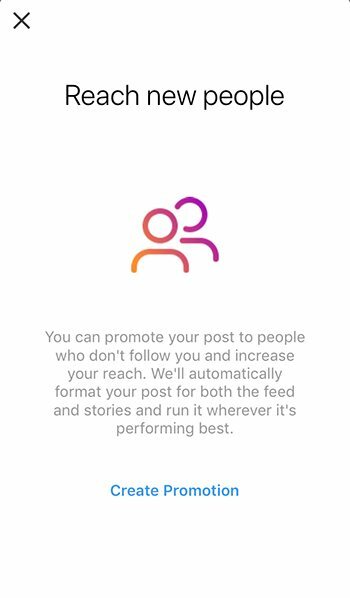 Instagram features an engagement rate of 0.84% of all audiences. This doesn’t sound too impressive but it is higher than both Twitter (0.04%) and Facebook (0.53%). Instagram users are more likely to buy through their phone. One-third of Instagram users have used their mobile to purchase a product online. This makes them more likely to buy than non-users. 62% follow a brand because they like it. 62% of users on Instagram follow at least one brand simply because they like it. Unlike other social media networks, this one feels more ‘personal’ and not too sales oriented. 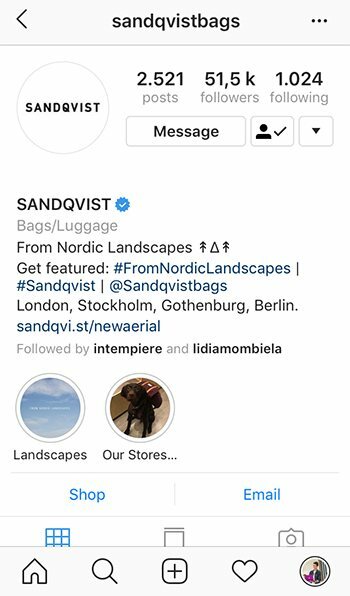 Your Instagram profile is the new homepage so you have to make sure your brand is represented the best it possibly can. It should go without saying that your username on Twitter should be your brand’s name but, unfortunately, it bears repeating since some people can’t help but get creative on the platform. This tip it’s also intended for those who have the misfortune of finding their name already taken. If you absolutely have to come up with something new, try that it doesn’t diverge too much from the original name. Don’t get creative and choose a complex image. Your logo is more than enough. Keep in mind that this is a picture that will never be seen in full size so it has to be understandable on a small scale. 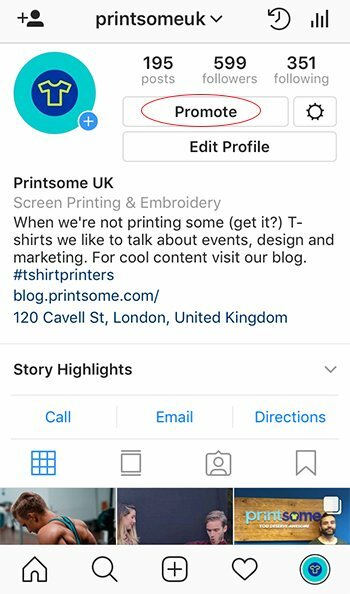 Also, and something very important, your bio is the ONLY place on Instagram where you can place an actual functioning link. Make sure you use it well. Don’t be afraid to change it from your home page to a specific product you want to promote whenever it’s convenient. When we go through our Instagram feed, we see one image after the next from top to bottom. These are not connected because they usually belong to different people (unless someone is spamming or you’re following just one person) but when someone decides to visit your profile, they’ll see all of your pictures in a grid, side by side. Some people use this opportunity to create a ‘puzzle’ image, if you will, with different pieces or they try to create a pattern between the images. This is not necessary but it goes to show you the creative potential this feature has. When you upload a new image, keep in mind how they relate to the others. Basically, your overall feed is the first impression potential customers have of you and your brand. As an essential part of the decision-making process, you have to make sure it is something people will remember. 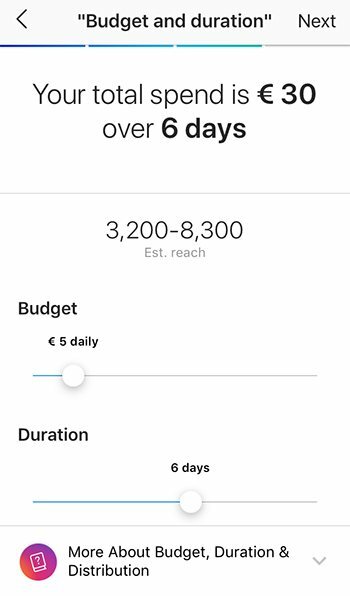 Instagram ads are becoming more and more popular each time. 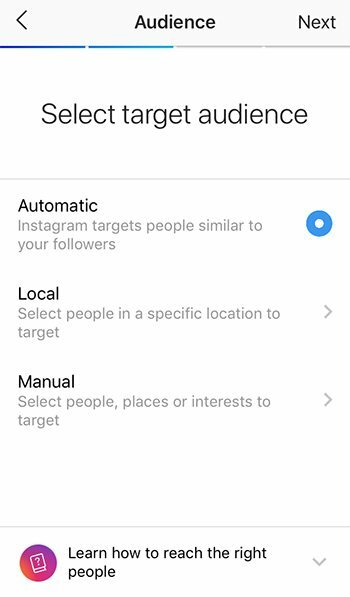 Much like Twitter, Instagram ads blend seamlessly to the user’s feed so it’s doesn’t disrupt the experience like a pop up would. Because it looks just like any other image shared on the platform, users already know how to interact with it — they either ‘like’ it or just keep scrolling. 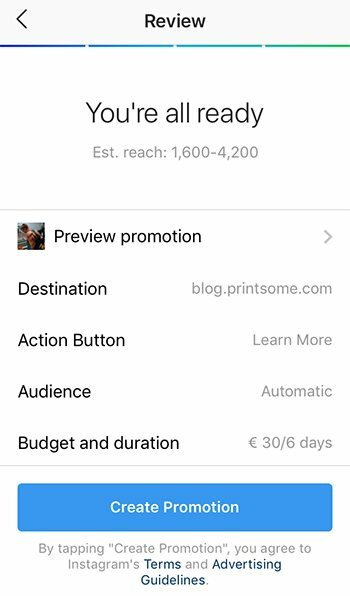 Instagram ads are essential if you want to reach people outside of your group of followers. They’re very easy to set up too. You can also use an image you have already published in the past. Pick a popular post and simply ‘boost’ it to increase its exposure. Just make sure you pick a strong call to action (CTA). Step 2: Select the post you would like to promote. All of your posts show up on a slider at the top. The one you select will turn pale grey. The last image you shared is selected by default. Once you’re done, click on ‘next’ in the menu above. Step 3: Connect with Facebook. If your account is not already linked it will ask you to connect with Facebook. Step 5: Select your target audience. This will give you three options as well. The first one is ‘Automatic’ which automatically targets people who are similar to your followers. Local is the second one and it lets you select people based on location. It lets you target people from up to 30km away from your headquarters, specify their age and if you would rather reach men or women or both. The last option is ‘manual’ which, as you can imagine, takes the longest time as you will be the one filling all the fields one by one but will also give you the most amount of options. Select ‘manual only if you mean to target a very specific group. Once you’re done, click ‘next’ on the menu above. Step 6: Pretty straightforward, just choose your budget. Select how much money you’re willing to spend in this campaign and how long do you want it to run for. Click ‘Next’ once you’re done. Step 7: Review and Create. Before your promotion is published, you’ll have a chance to review it one last time. If you want to create a sense of urgency, then Instagram Stories is the way to go. Since they only last for a limited time, your customers will have to act quickly if they want to get that coveted product. The Instagram Stories feature is versatile because you can create both pictures and videos — whichever matches your product the best. In order for it to be successful, you need to grab people’s attention and you need to do it fast as they only have a few seconds to do so. One of the best things about Instagram Stories is that you may add a link if you wish to. Invite your followers to swipe upwards and that will lead them to whichever link you choose. Make sure you use a catchy CTA. Not too long ago, we featured an infographic about how some big companies use Instagram Stories to sell their products. Ever since Shopify and Instagram joined forces, online shopping has never been the same. Thanks to this practical tool, your followers don’t need to leave the social network to buy your products. The price of the product and its name will appear on top of the picture and users will be able to click it to buy. 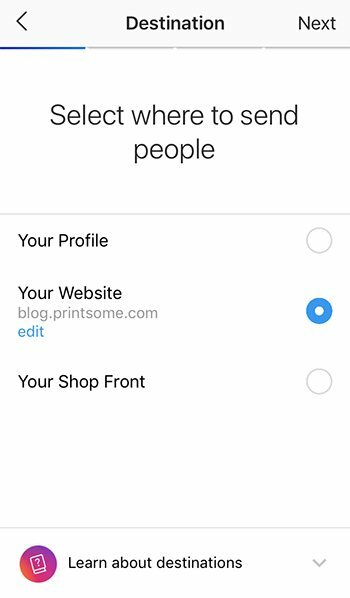 In order to use this integration all you need is to have your shop approved in the Facebook channel and operate your business from a supported country by Shopify. To learn more about it, head over to the Shopify website. Love them or hate them, influencers are here to stay. And as social media keeps evolving and getting bigger, they will only become more ‘influential’ for a lack of a better term. 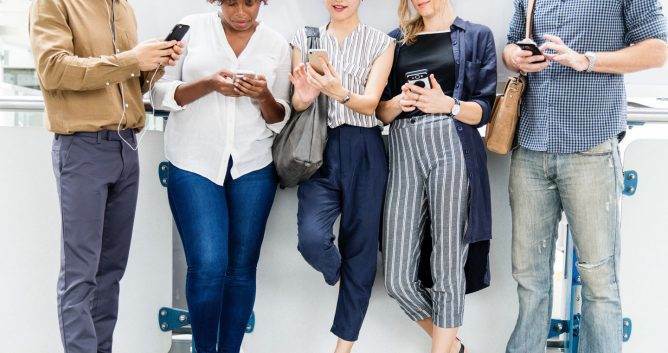 It is no secret that consumers — particularly millennials and generation Z — don’t trust traditional advertising methods, which is why brands need to get creative. For many, that answer came through the form of influencers. These personalities blur the lines of branded content and spokespersons. The theory being that when they sell something through their channels, it doesn’t feel so much like a hard sell. These people create tight relationships with their followers over the years so more than marketing, it feels like a friend that is recommending you a product (when done well). As a general rule, partner with influencers who have anywhere between 1000 and 100,000 followers. Stats show that these accounts have higher engagement rates than celebrities with hundreds of thousands or even millions of followers. If you want to find out more about influencer marketing. You can check out the blog post we wrote on the subject a while ago.